Aren’t holidays amazing? From deciding where you’re going and booking, the build up as you get closer and then suddenly it’s time to pack! 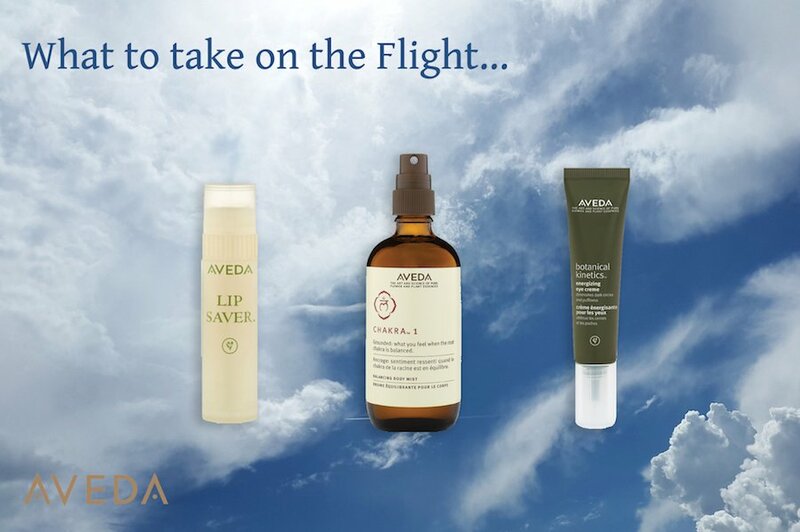 Lists of what you’ll need can be a little overwhelming, so here at Aveda we’ve put our heads together and put together a top tips list of our best recommendations for caring for your hair, skin and body whilst you’re away. Bon Voyage! Lips tend to dry out on flights thanks to the recycled air flow, so what’s better to keep those lips soft and moisturised with our botanical balm? Lip saver contains natural anti-oxidants and natural waxes that help to seal in moisture and protect from dry environments. Delightfully flavoured with cinnamon leaf, clove and anaise oils. What better than to compliment a journey by aeroplane than to feel secure and safe? This Chakra 1 authentic fusion of pure essential oils is blended with pure essential oils including olibanum, organic patchouli and vetiver will help to encourage a feeling of security, balance and grounding. Just the right size to be taken in your hand luggage too. Early morning flights or in fact any other time can make your eye puffy, so we recommend botanical kinetics to soothe, hydrate and brighten those peepers. This plant energy complex gives the skin a boost, helping increase energy in the cells to help reduce visible puffiness in the skin around your eyes, while liquorice root (recognised for its soothing properties in Ayurveda, the ancient healing art of India) will diminish the appearance of dark circles. A weightless sun cream that’s perfect for protecting face and body. With 74% naturally derived plant based ingredients, you can let nature help defend your skin’s natural beauty. Kukui seed oil helps strengthen skin’s natural environmental barrier, while an anti-oxidant blend with ginger extracts helps defend against free radical damage. For all skin types. Spray this cooling, refreshing mist to help hydrate and balance your skin while minimising surface oil build-up. The moisturising formula is suitable for normal to oily skin and is infused with white oak, witch hazel and peppermint, to provide mild astringent benefits. It’s refreshingly aromatic and the perfect beach or companion for any hot location! A water-resistant UV defense mist that forms an invisible lightweight screen to help protect hair from sun exposure to minimize damage and dryness. Avedas pure-fume aroma with certified organic neroli, ylang ylang, cistus and other pure flower and plant essences means hair smells amazing. For all hair types. 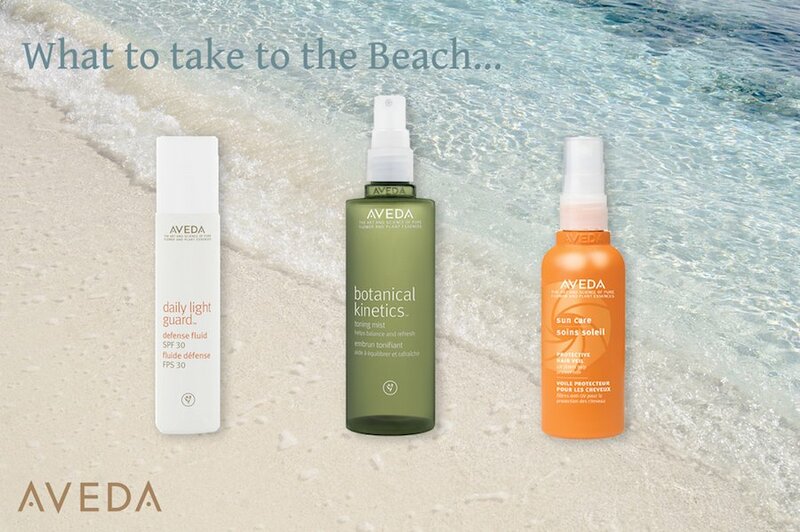 Spray lightly before and during sun exposure, reapply after swimming. Gently wash away chlorine, salt and product residue with this colour safe cleaning formula. Tamanu oil and organic coconut oil help maintain moisture balance along with green tea, certified organic sunflower oil and vitamin E. For all hair and skin types. Apply to wet hair as shampoo and use it as a body wash too for a sweet smelling Aveda aroma. Perfect for after a day in the sun, this intensive cream masque will restore your hair, using morikue protein to help recover weakened hair shafts and ends. Tamanu oil, certified organic shea butter, coconut and palm oils help to moisturise, whilst the anti-oxidizing blend of green tea extract, certified organic sunflower seed oil and vitamin E, protect against free radicals. Tropical aroma with 100% certified organic essences of neroli, ylang ylang and cistus. To be used as a leave in hair masque after the Sun care hair and body cleanser. 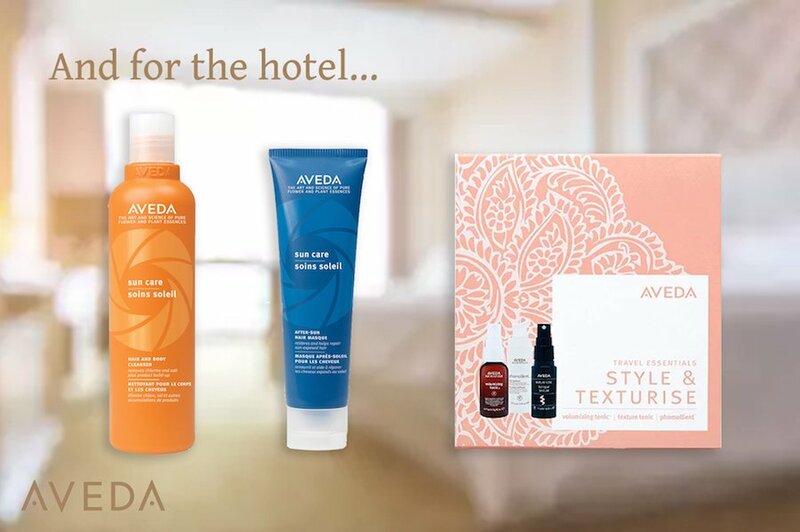 These essential Aveda hair care travel kits are available in store at Guildford or Walton Mary Ann Weeks Aveda salons now, with savings on each trio box of Aveda 50ml travel size best sellers. 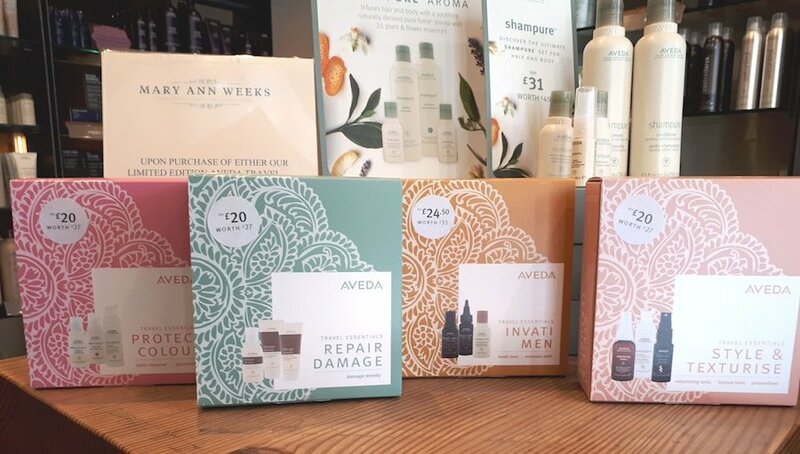 Kits include Aveda damage remedy, protect colour, Invati men and styling hair care needs. Avoid disappointment and purchase before stocks run out. Thanks a lot for sharing such an informative article about travel hair care. I love travel in anyplace. I have read your valuable page and gotten much information and now my confusion has cleared. But I have a little question that, how days later will I use shampoo in a week traveling time? Which foods good are for grow and thicken hair? And which foods will I avoid for my hair grows? How to prepare for outdoor travel with hair care? Could you please suggestion me? Then I will be benefited. Anyway, I will share it with my friends. I hope they will be benefited by this article.